Anntian is inspired by imbalance. Their collections reflect an entropic perspective of nature in the form of free-flowing, contemporary silhouettes. 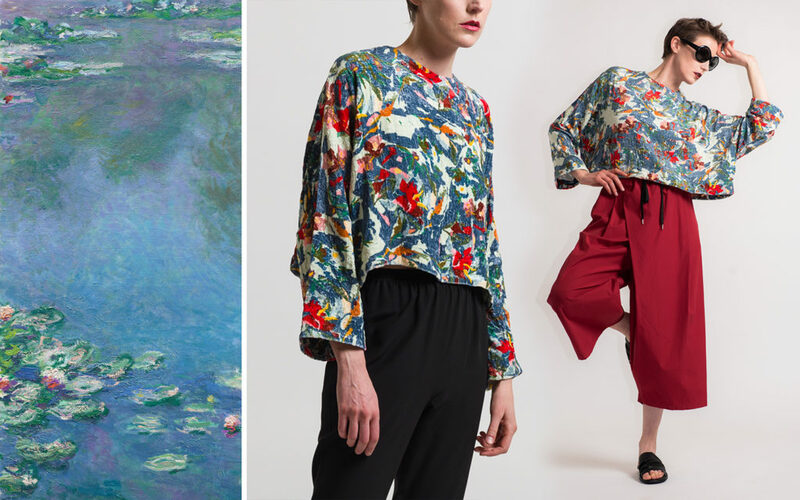 We’re reminded of the ephemeral florals in an impressionist painting, come to life on the body. 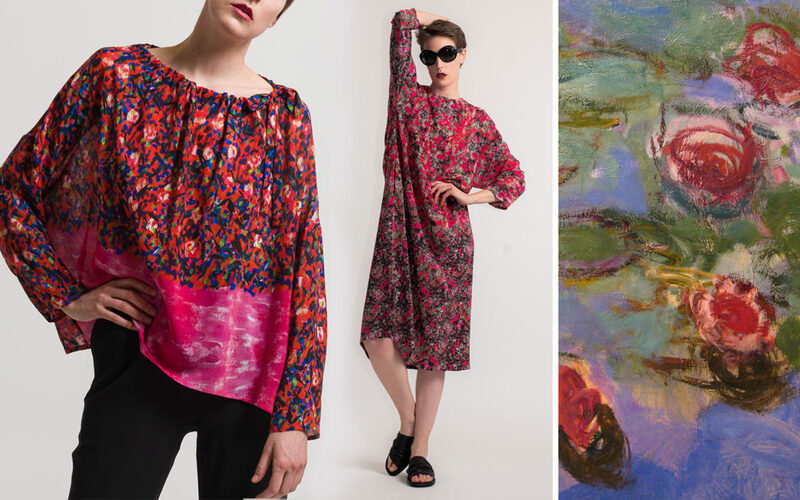 Similarly to the Impressionists, Anntian designers Anne and Christian are interested in the irregularity of life, as they choose to depict eccentricity rather than contrived uniformity. 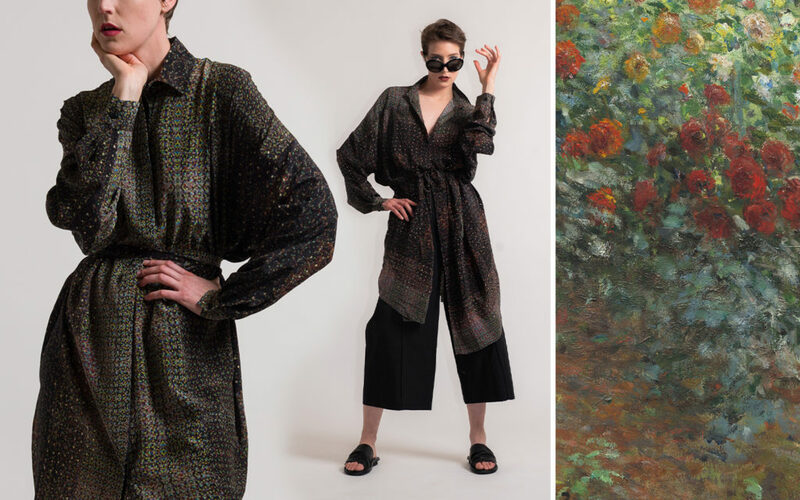 Their process is a return to the handmade, creating motifs for each collection with small paper sculptures, hand-printing and hand-painting their designs directly onto the fabric. 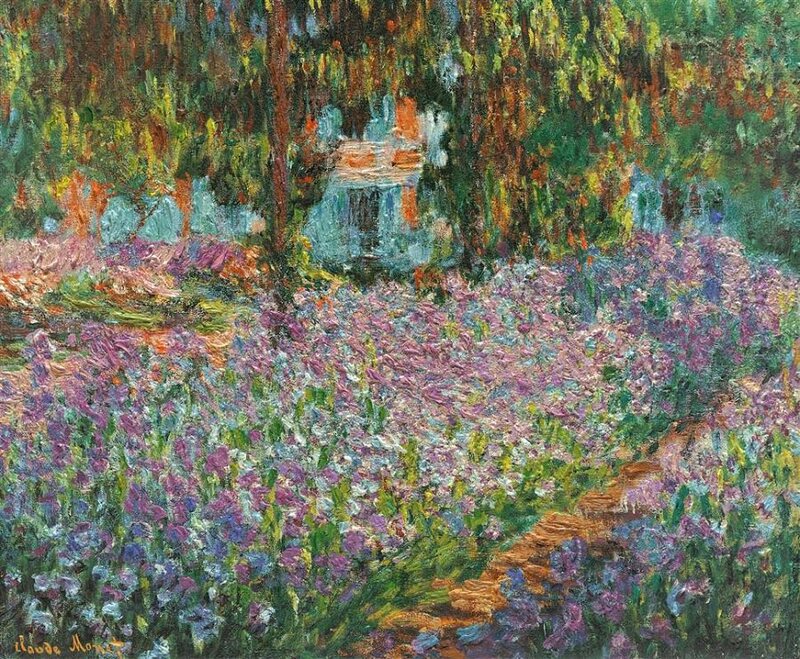 The complex combinations of color and shape reach a harmonic culmination. Their creativity seems to have no end. 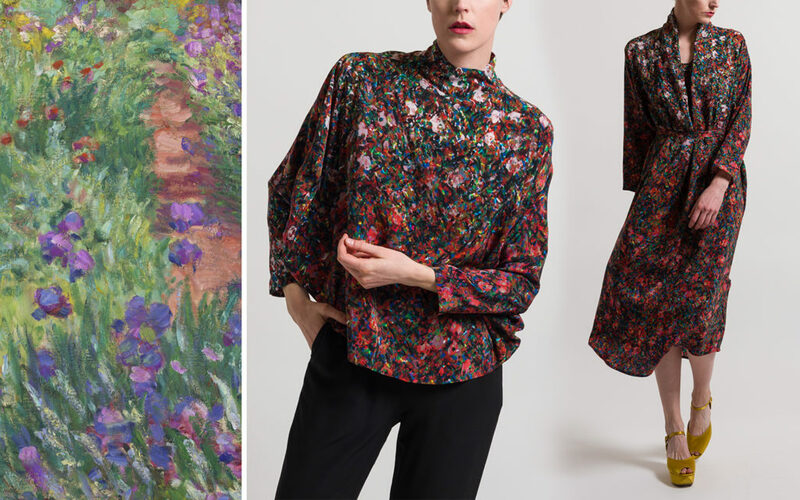 To wear Anntian means to embrace individuality, your own beautiful imperfections, which is why we felt such a strong connection between their work and that of Impressionists like Claude Monet. Anntian was created in 2006 by Anne Hilken and Christian Kurt. They are based in Berlin. Shop our full collection of Anntian online or in Workshop.